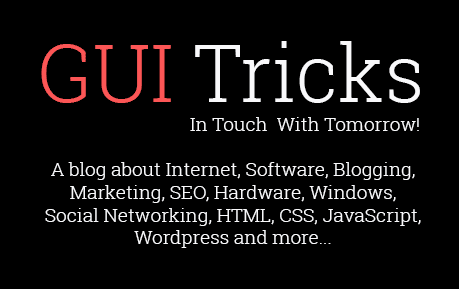 Tech Your Restaurant Needs | GUI Tricks - In Touch With Tomorrow! 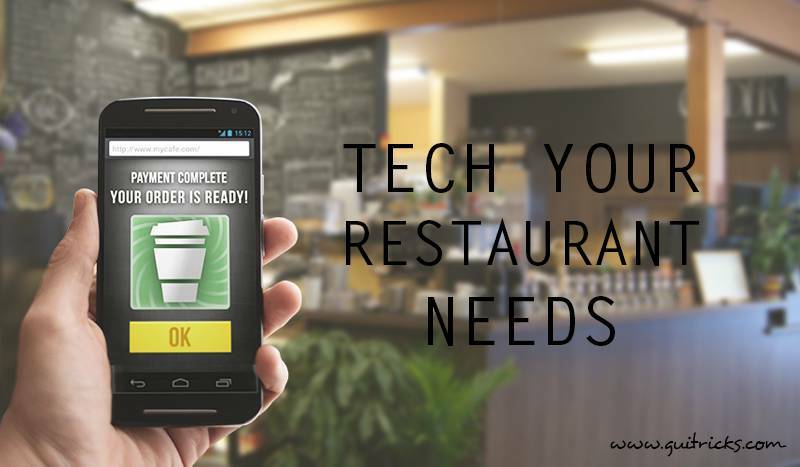 Tech Your Restaurant Needs - GUI Tricks - In Touch With Tomorrow! While this is relatively simple technology, implementing a way to encourage customers to come back to your restaurant by offering percentages off for continued visits can drive in business. There needs to be a database that has the ability to hold the customer’s information and know how many times they have been to the restaurant. You cannot rely on a punch card or paper version of this. It needs to be electronic. Restaurants are beginning to develop applications that can be downloaded on a smartphone. These programs keep track of what the customer orders, gives them points for purchases, and gives rewards when they earn a certain amount of points. This will drive customers back to the same restaurant because they want to take advantage of the program. These systems allow a restaurant to pull together virtually all of its functions in one place. It can keep track of what items are selling so that inventory is ordered, or things are taken off the menu. It communicates data into the accounting system, so it can be used for multiple purposes, including taxes and payroll. These systems can even be portable, so they can be carried by servers as they take orders. Managing inventory is critical to a business’ success. The owner needs to have a good understanding of where the inventory is being used, how much of it is being used, and where they may be able to save money by making different purchasing choices. Using a point of sale system can not only capture much-needed data from one restaurant, but it can also pull in data from different locations. This is beneficial when restaurants have more than one location and want to pool resources. They can transfer inventory, adjust staffing, and make menu changes based on the data collected by the system. Additionally, the owner can compare the revenue streams and make business decisions based on the data and managing inventory. Consumers expect to be able to go online and find information about your restaurant. They expect to find reviews, menus, pictures, and various other information. Without this kind of presence, consumers may look to another restaurant that does offer what they are looking for. Consumers want to be able to look up information on restaurants with the ease of their smartphones. If businesses do not have the right site set up, it may not display properly on a smartphone. Restaurants need to make sure their websites and applications are easily viewed and contain correct information. Sometimes, restaurants may want to outsource the development and management of their websites. This can ensure that they are offering customers what they want. Additionally, websites can now allow you to make reservations, so customers can decide on their dining plans from anywhere. Some restaurants are beginning to put tablets at each table. The tablets allow the customer to call their server, pay their bill, and even play games (for a fee). Some of these tablets will hold children’s games so that they have something to do while their food is coming. Usually, these cost a fee, but keeping a child busy and quiet while waiting is sometimes worth the price. Using tablets can reduce turnaround time for tables since the customers will not be waiting to get the attention of their server quite as much. 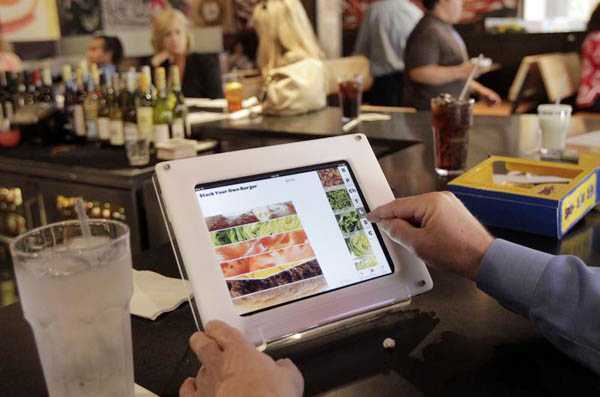 The tablets are a way to engage the customer with the restaurant in multiple ways. It also allows people to check their bill for accuracy and not feel rushed by the server. Furthermore, the customer can remain in full control of their credit card while paying. They do not have to worry about an unscrupulous employee or the card getting lost. They can swipe the card right from the table and add the tip of their choosing to their bill. Restaurants need to invest in making wi-fi available to its customers. So many people are dependent on good service, they want to have it wherever they go. And, if the restaurant offers free wi-fi, it is less data that the customer must use from their own plan. Many people expect businesses to have this available, so if your restaurant does not have it, it may mean fewer return customers. Restaurants need to either have an open network or prominently display the login and password. Social media is very important to many customers, of all ages. Customers are expecting restaurants to be on Facebook, Instagram, and Twitter. They want to be able to follow what they are doing socially and what people are saying about them. Without a social media presence, restaurants can be passed over by potential customers. By instituting some popular technology, restaurant owners can increase their revenue and create a customer base that will come back over and over. Technology can help them monitor their business, expenses, and revenues with less time and effort and with more accuracy. With technology, restaurants will be able to serve their customers the way they want to be served.